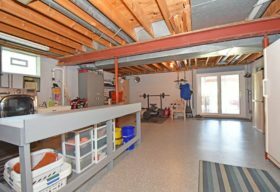 Partial list of updates include: roof, windows, siding, furnace, AC, H2O tank, bathrooms, solid surface counters, wood and tile floors, etc. 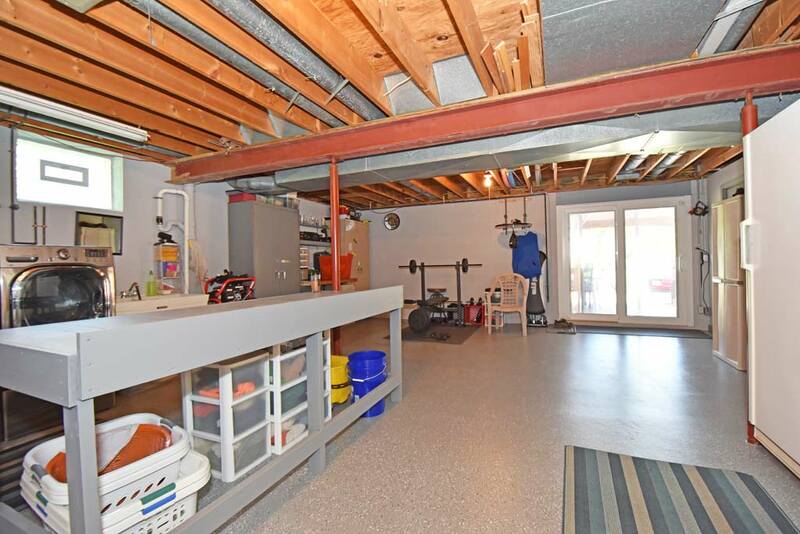 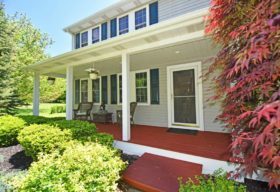 Rarely does a home come on the market in this price range which has been extensively and meticulously updated – from top to bottom, both inside and out. 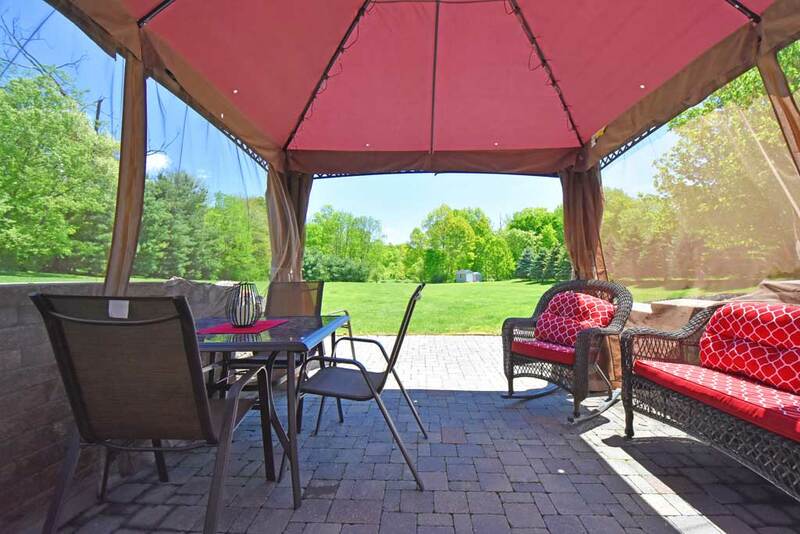 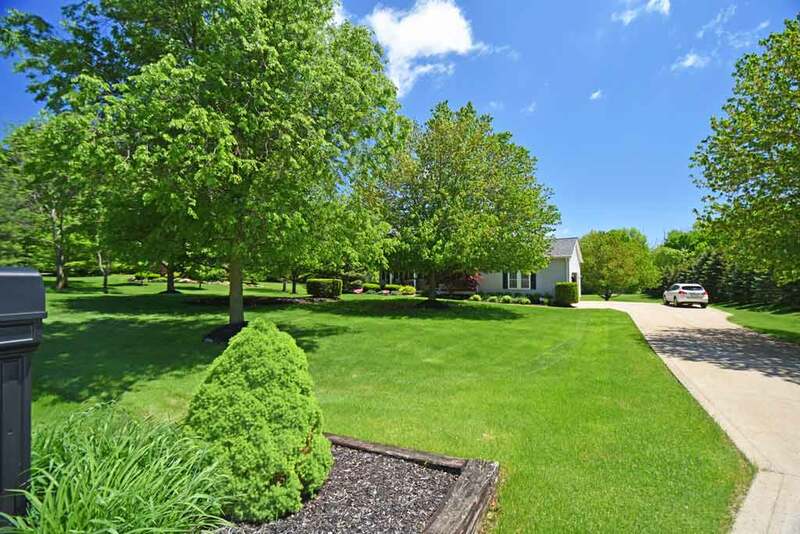 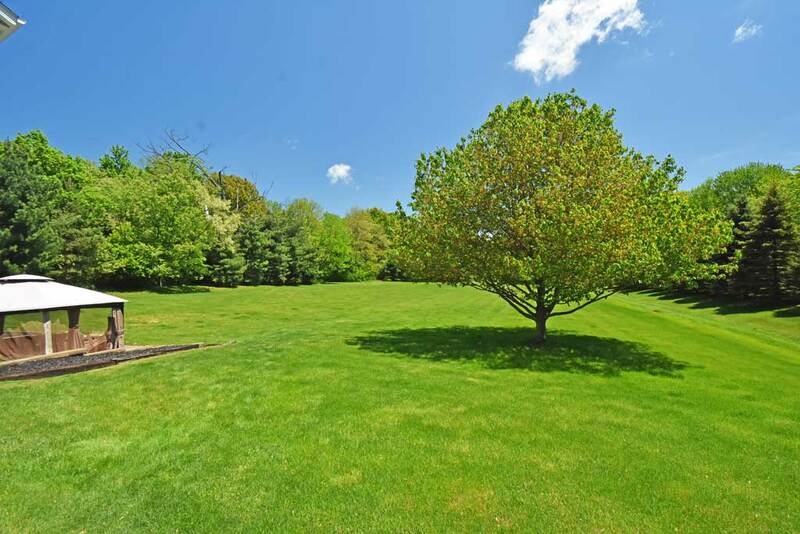 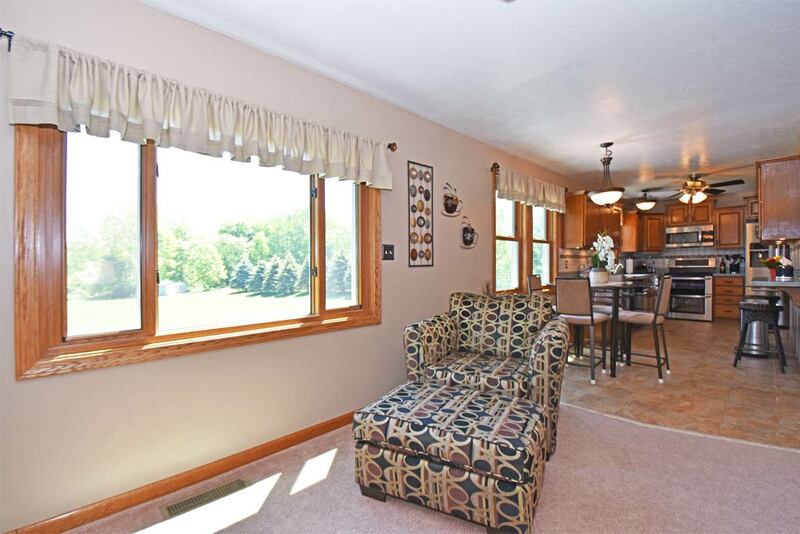 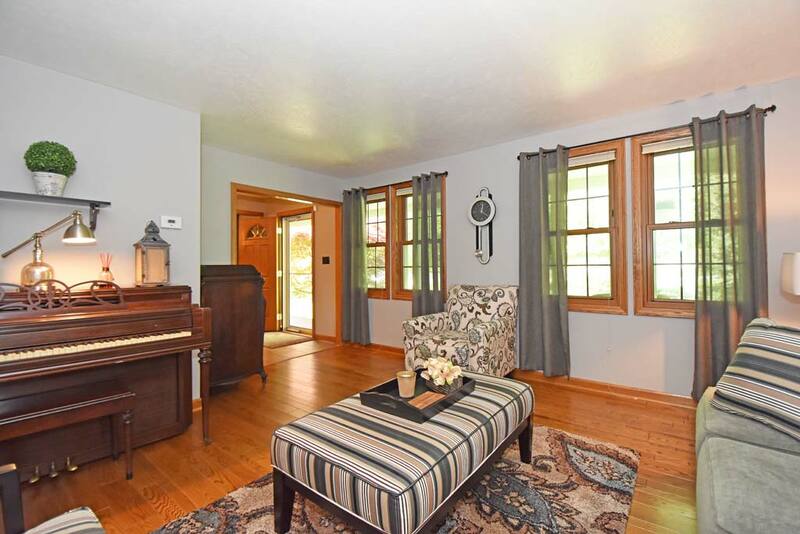 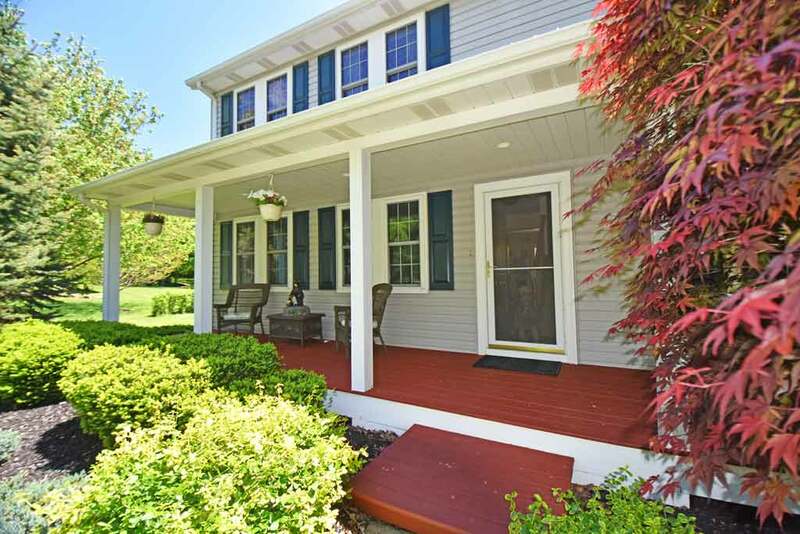 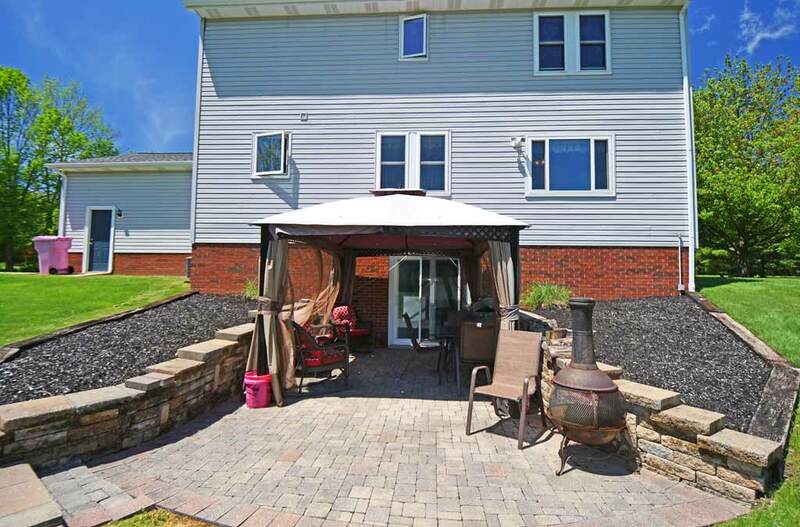 Gorgeous and inviting front-porch colonial on 2 usable & private acres. 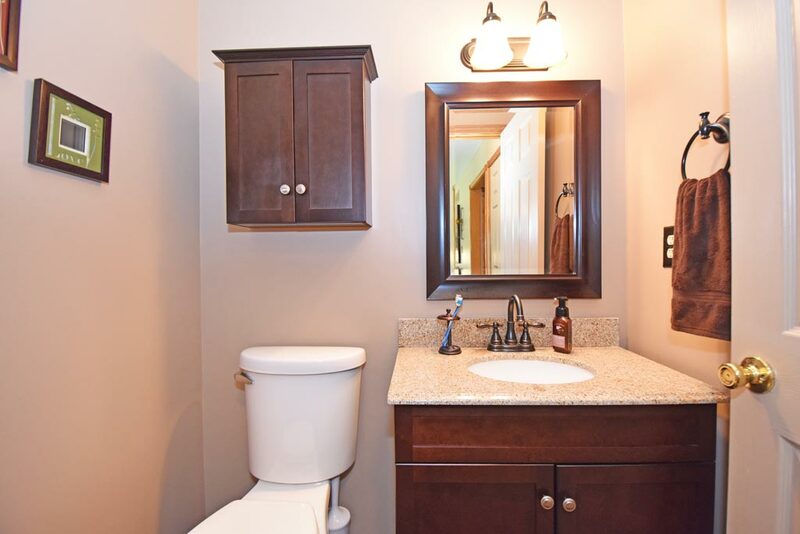 Serene, pristine, attention to detail, quality materials, and timeless design. 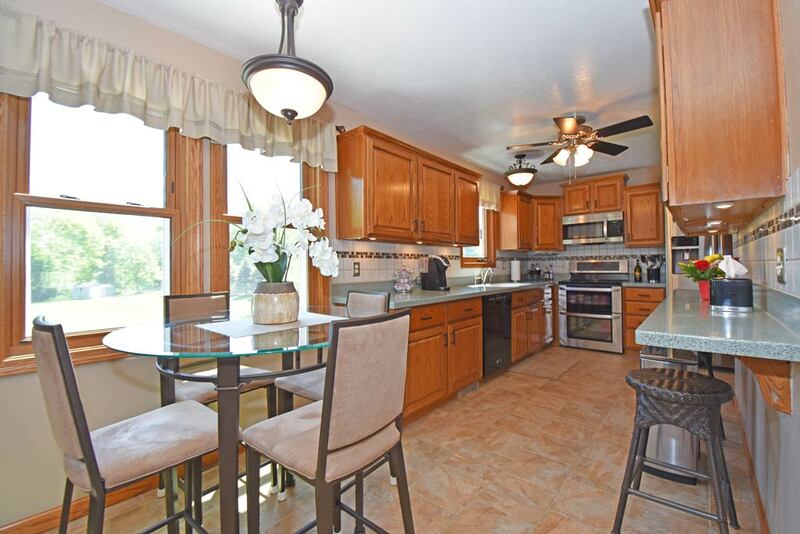 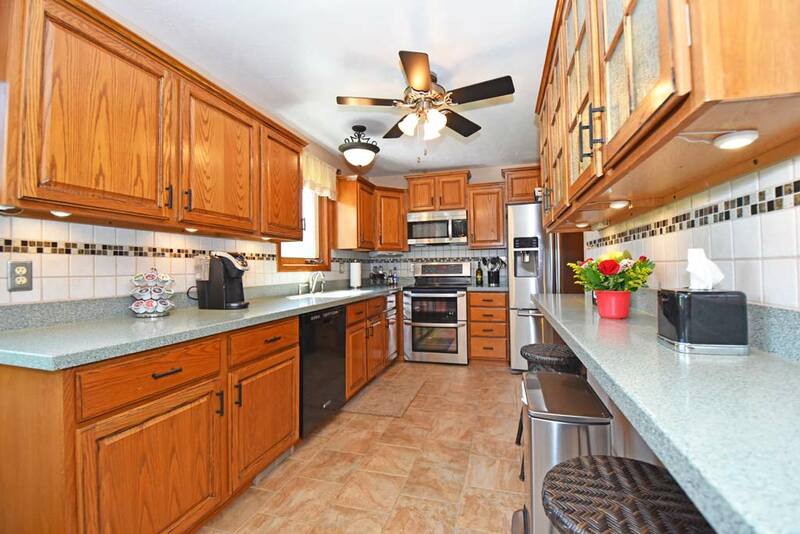 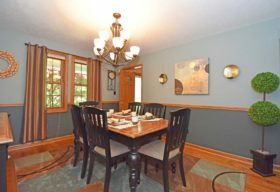 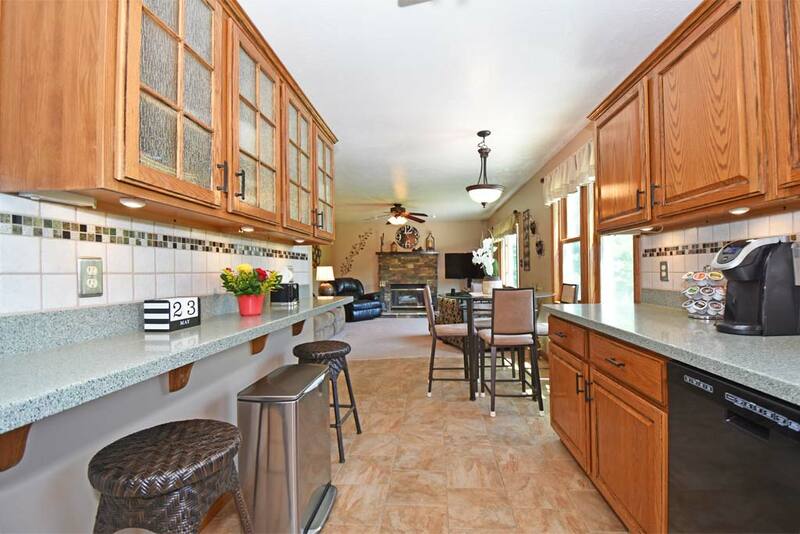 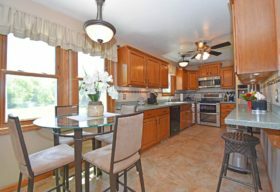 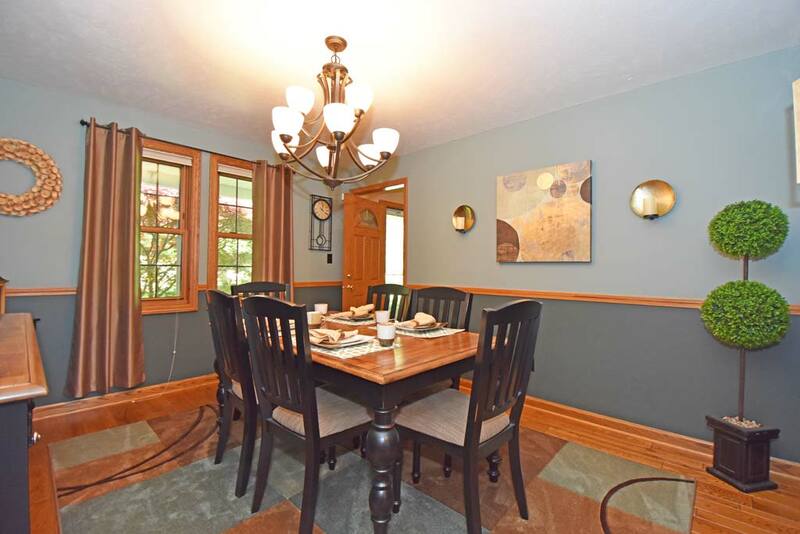 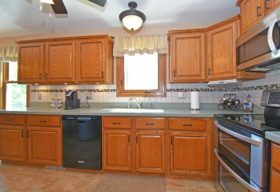 Traditional yet comfortable, the main level has both a formal living & dining room, an eat-in kitchen w/solid surface counters, tile backsplash w/under cabinet lighting, ceramic floors, newer appliances, along w/a separate command/desk area. 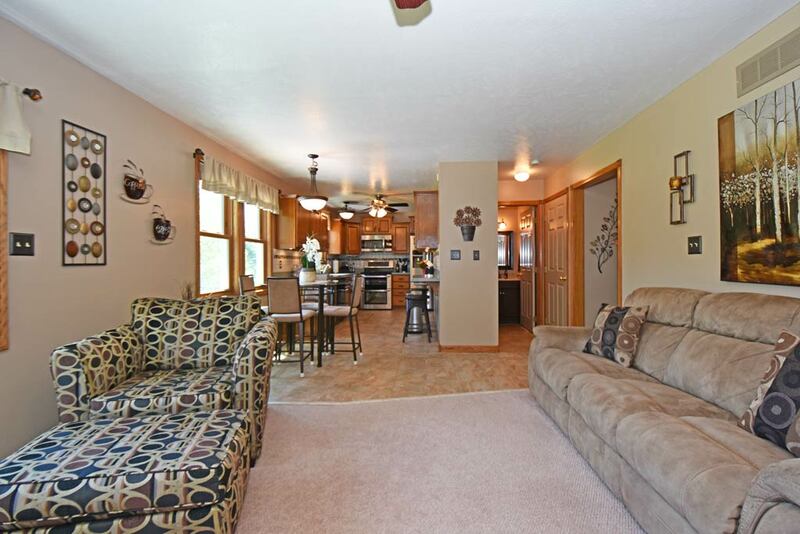 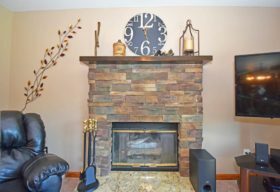 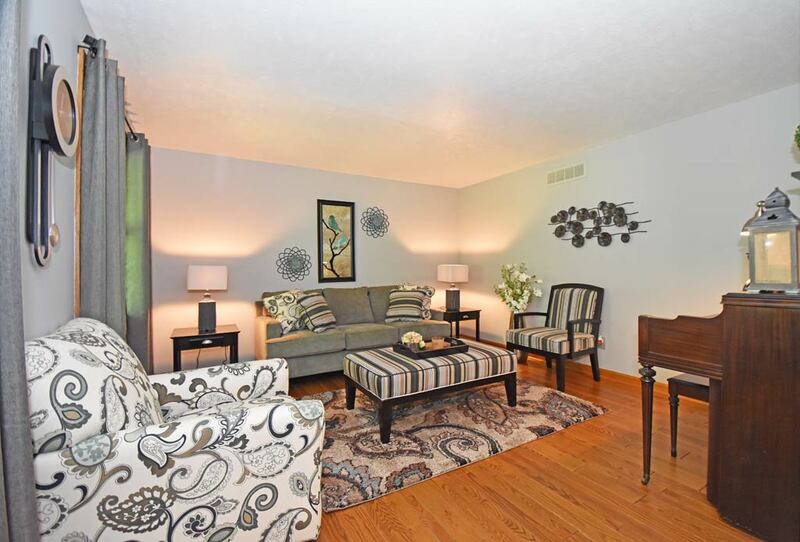 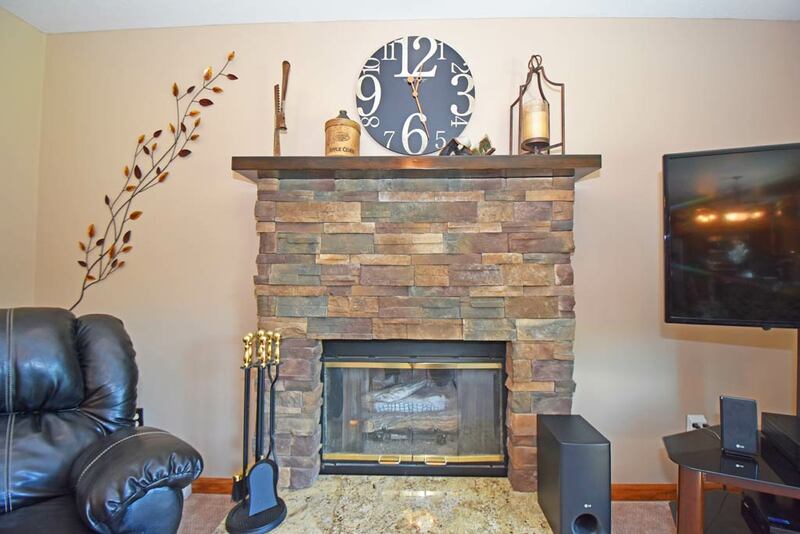 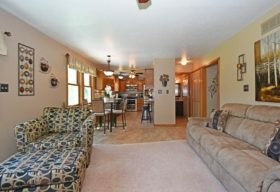 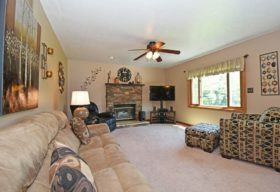 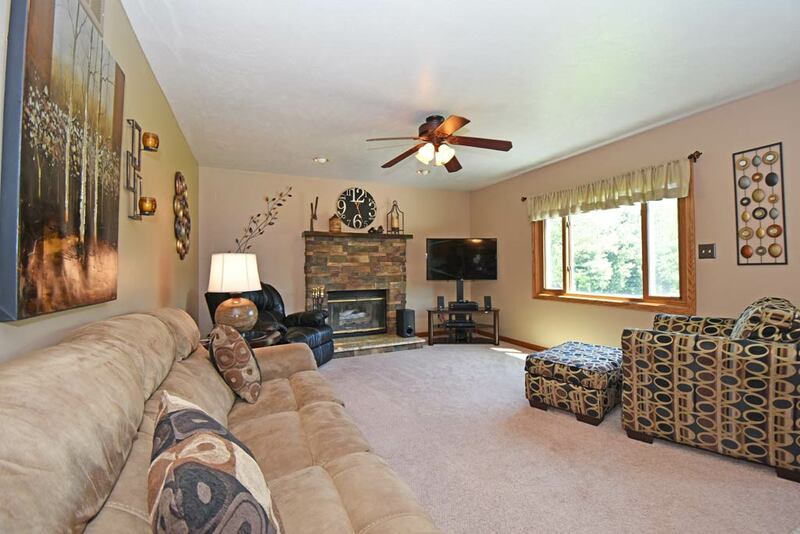 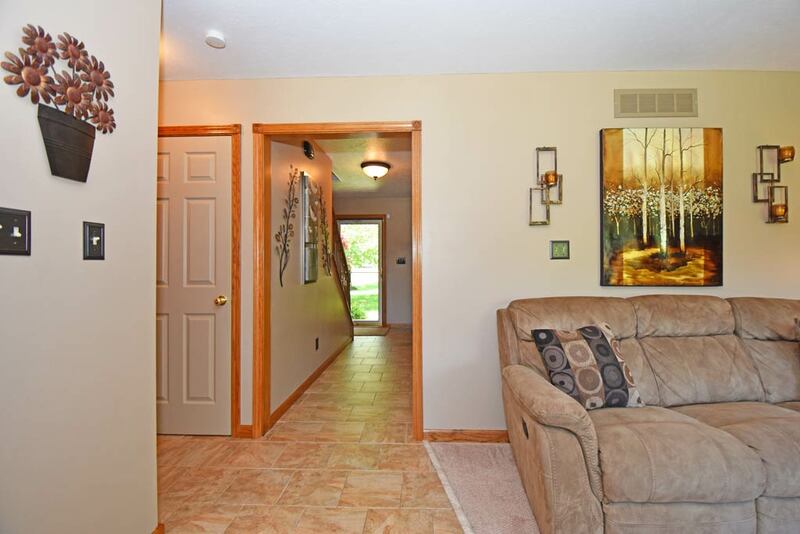 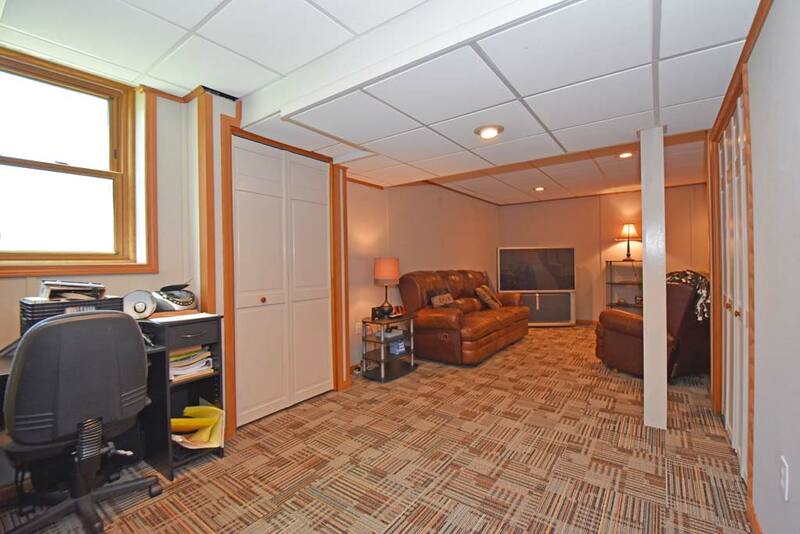 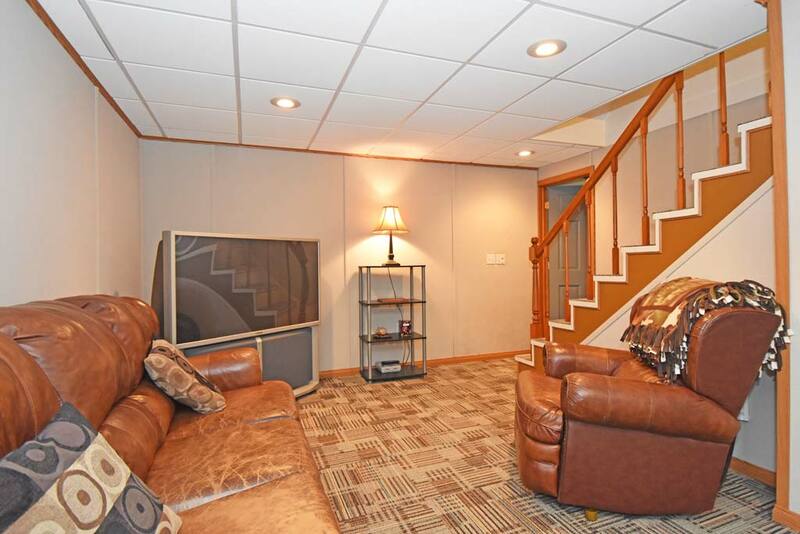 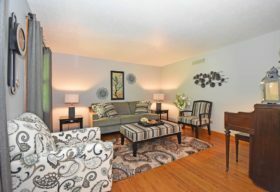 Comfortable family room w/a gas log fireplace, stone surround & granite hearth. 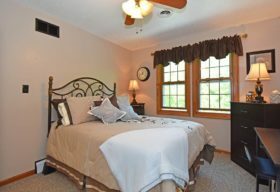 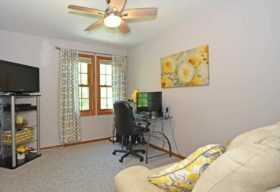 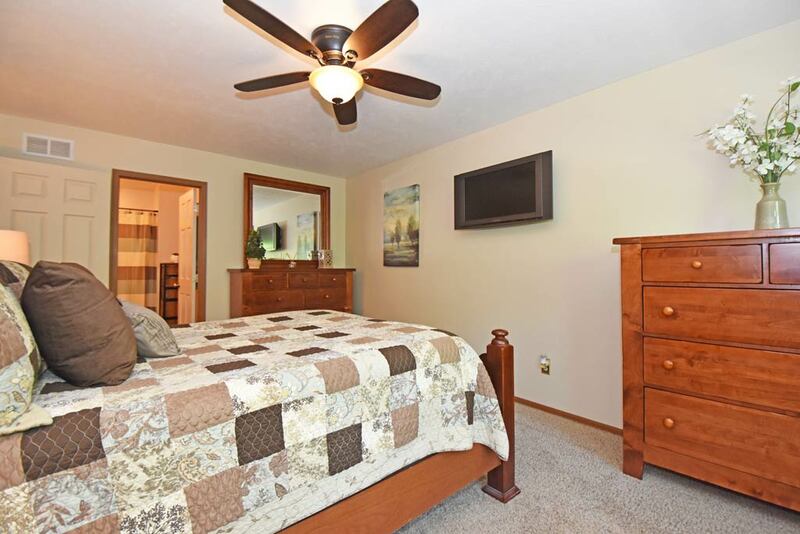 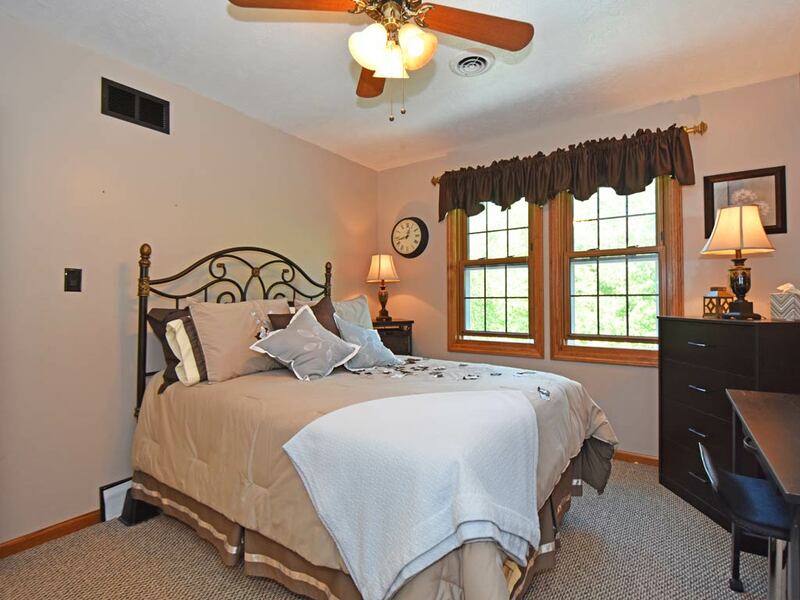 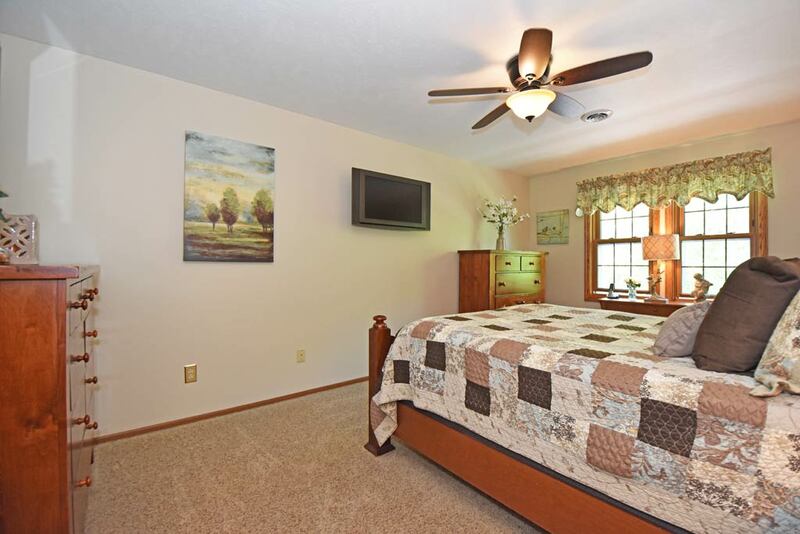 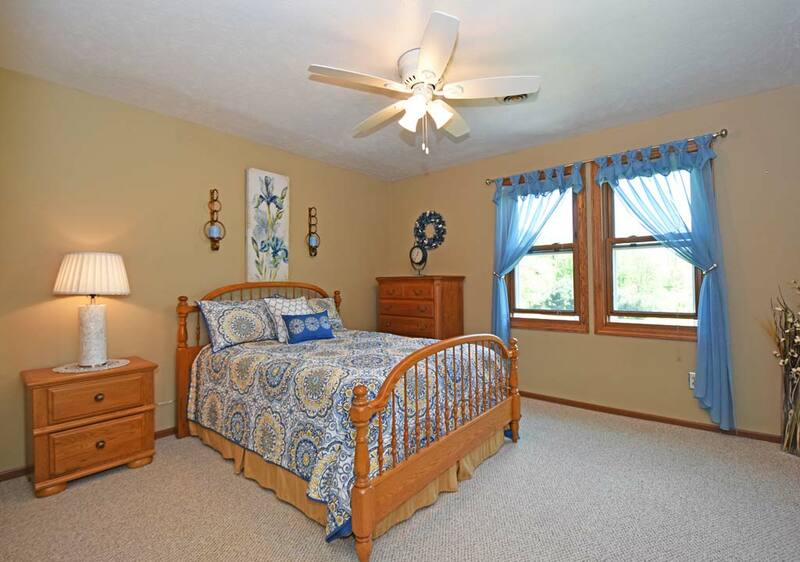 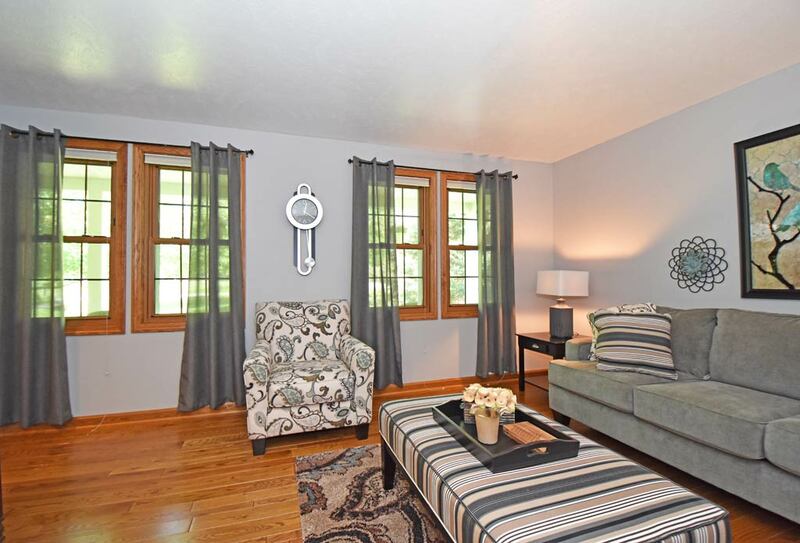 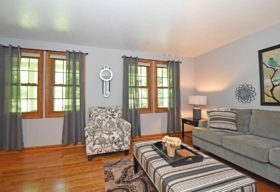 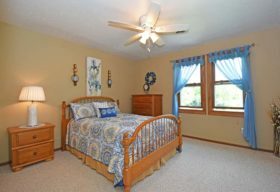 The upstairs features a cozy master bedroom w/a renovated master bath & walk-in closet w/organizer shelving. 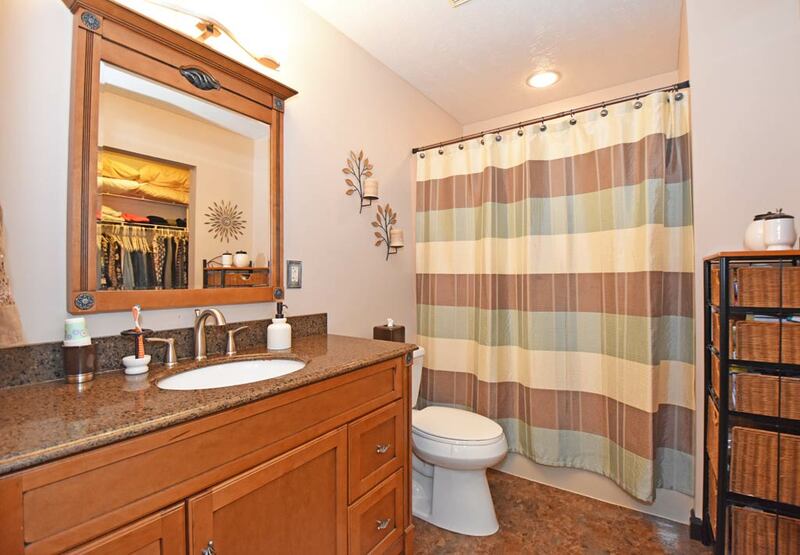 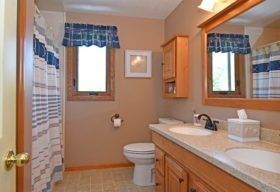 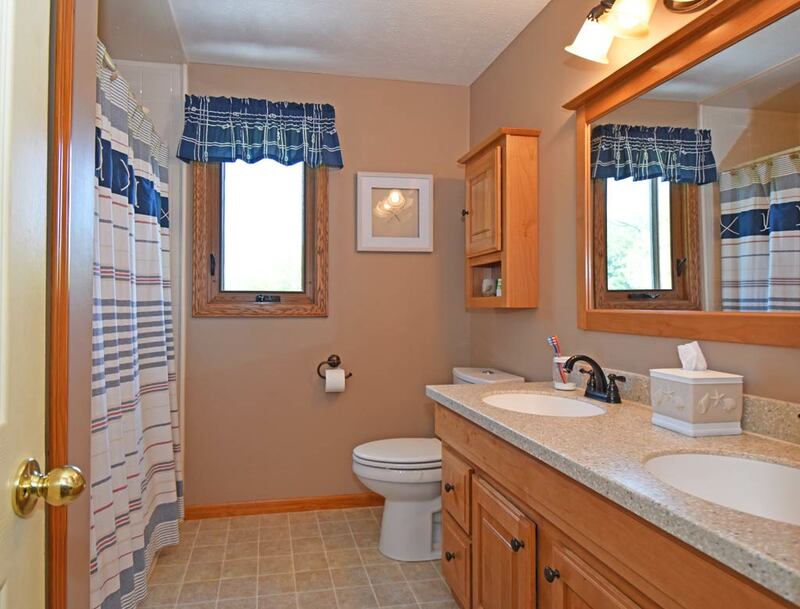 3 other bedrooms share a renovated hall bath. 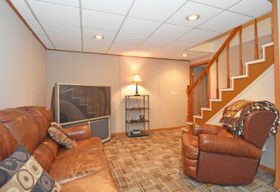 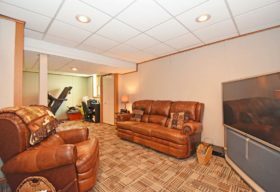 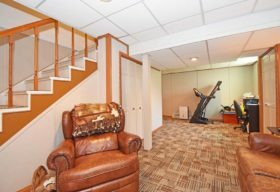 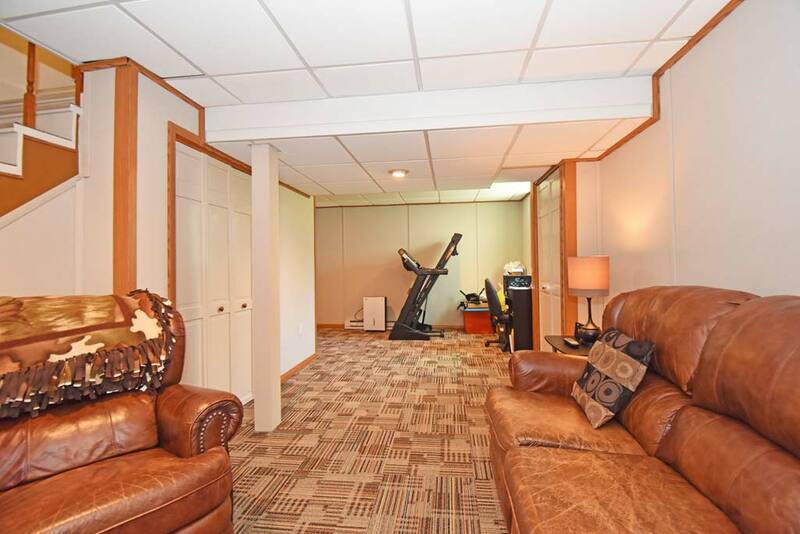 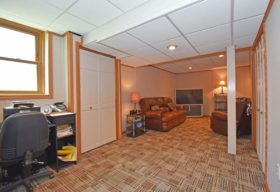 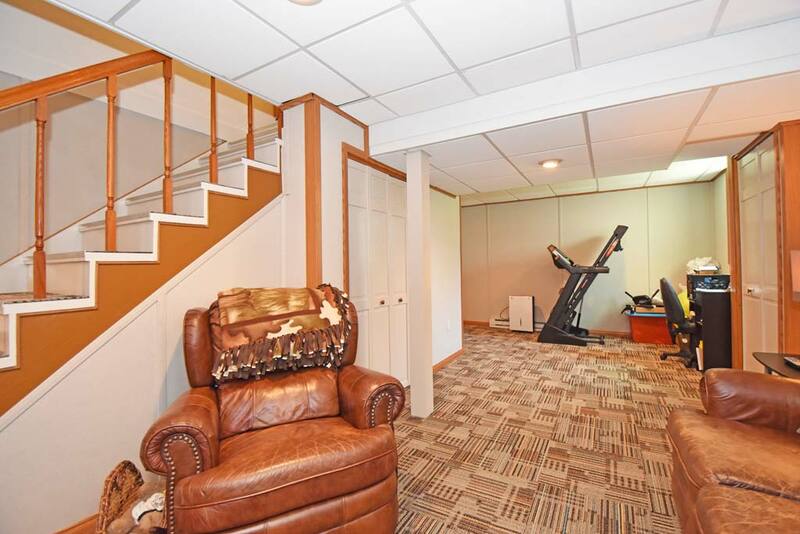 Finished recreation room finished by Ohio Basement Systems & the unfinished area is beyond pristine and walks out to the stone patio. 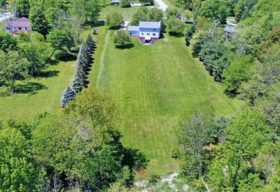 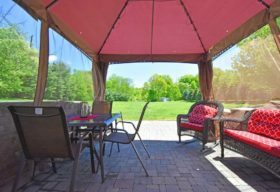 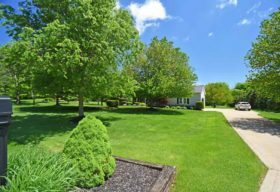 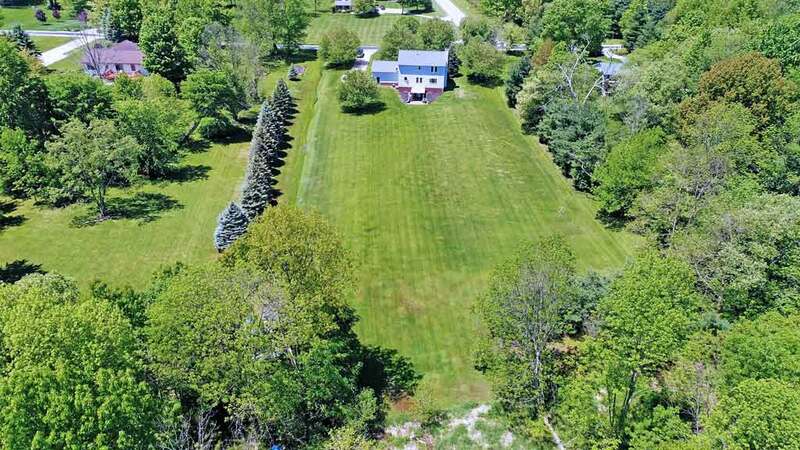 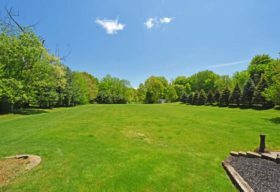 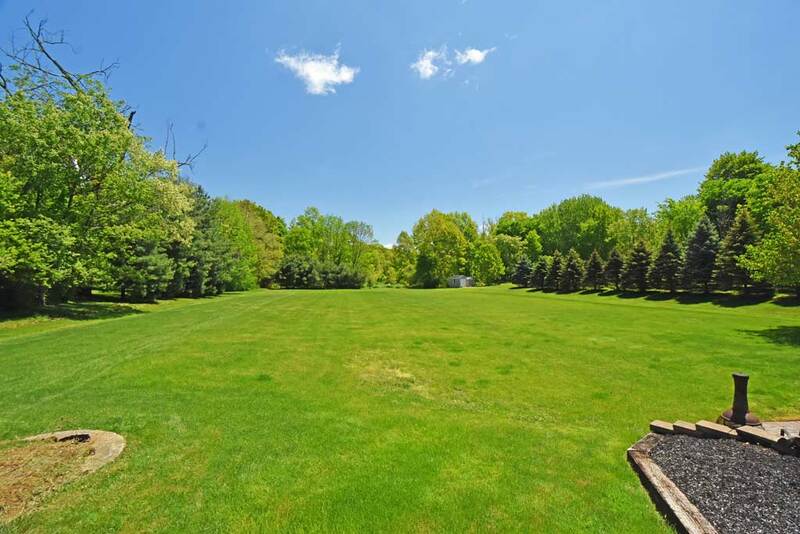 Unlike many properties, this backyard is completely usable, level & open for your enjoyment w/2 outbuildings for addl storage. 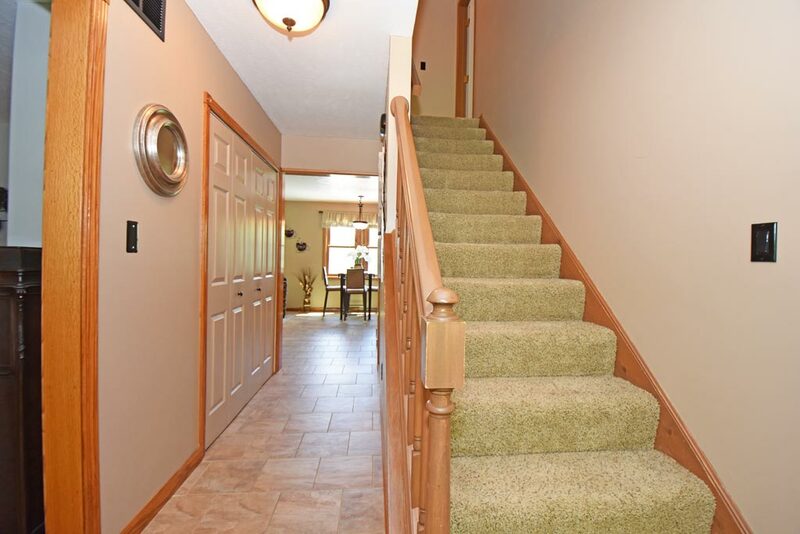 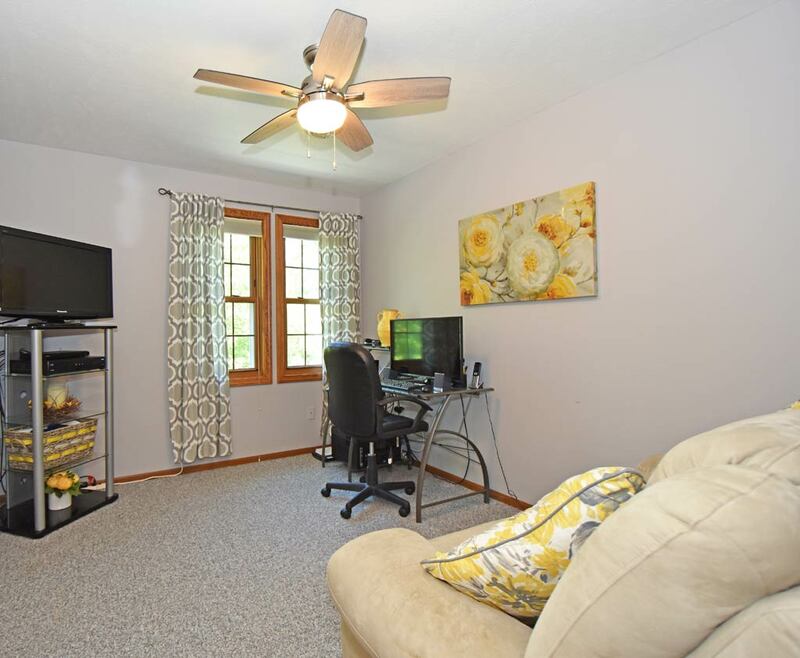 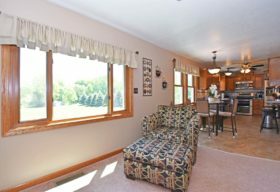 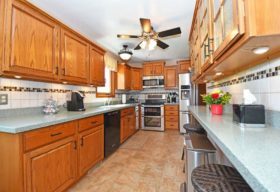 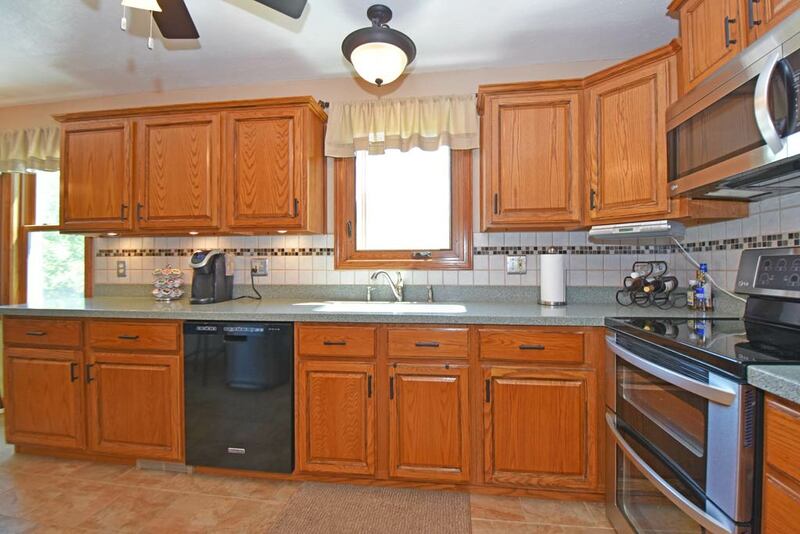 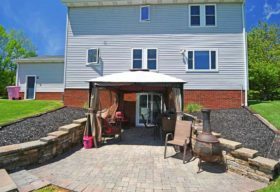 A few of the high-quality renovations include: 2017: water heater, garage door opener, basement carpeting; 2015: frig, oven, dishwasher, garbage disposal, roof, gutters, fireplace stone refacing, Pella sliding glass door, furnace, AC, humidifier, paint, kitchen tile, FR carpet, refinished wood floors; 2014: Bathfitter tub/shower enclosure; renovated bathrooms, garage door; 2008: Stanek windows & front door, siding, patio.